Beautiful trees are an invaluable treasure. 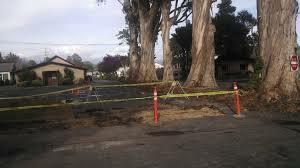 This is why heritage trees have protection from cities and counties throughout the Bay Area. Most require that you have a permit before having one taken out. Before you start any construction or demolition projects, cities mandate that you get an inventory plan and a tree survey. Of course, different jurisdictions have different requirements. Before you take out any tree larger than ten inches in diameter, it’s a good idea to check the tree ordinances of your county or city. If you get word that you need a permit, give us a call. We can complete your application quickly and accurately. You could also just call us to begin with, because we have expertise with the differing permitting rules throughout the area. If you are going to need a permit application, we can bring it when we come to see your tree. We also can analyze your tree and give you a list of inventory needed before starting construction. It is worth noting that observing these ordinances is crucial. If you take out a tree without a permit, the fine can be as high as $10,000 – and you have to replace the tree in most places. (replacing a mature tree is very expensive). Many neighbor feuds have started with illegal tree removal that could have been avoided by obtaining permits. If you start a building project without the right permits, you can end up paying a hefty fine and having you project stopped. We can provide you with inventory reports and tree surveys, arborist reports necessary for securing permits, and tree protection reports needed by county and city offices. Give us a call today!